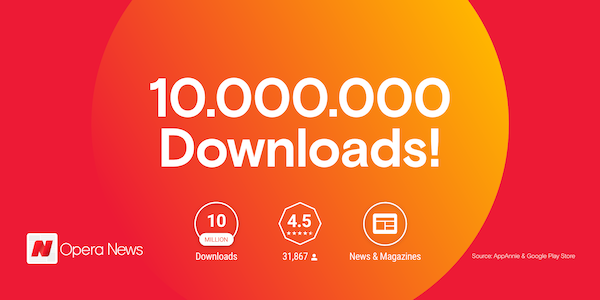 The standalone Opera News app reached 10 million downloads in Africa in just six months since its launch in January 2018. 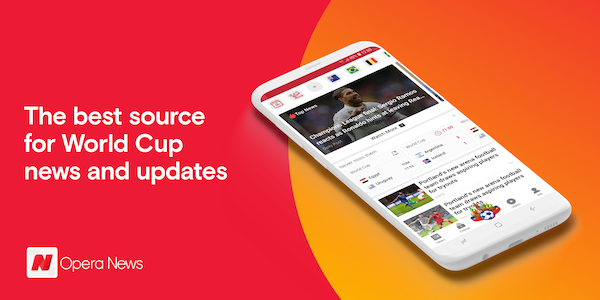 The news app experienced a spike in downloads after its recent update included a football World Cup channel and other football-related features. Opera News is also available inside Opera’s mobile browsers, reaching more than 90 million people in Q1-18. According to results from AppAnnie from June 2018, Opera News is the most downloaded news app in Nigeria, Kenya, Ghana, South Africa and Tanzania. The spike in Opera News downloads is a result of the app’s introduction of new World Cup features, which keep football fans up to date with the results of the largest football competition in the world. They can now follow live scores as well as tables and fixtures of the group stage and the knockout stage. “We are extremely excited to see that more than 10 million people across Africa chose Opera News, making it the No. 1 ranking news app on the continent,” said Jørgen Arnesen, Global Head of Marketing and Distribution at Opera. “Africa is crazy about football and so are we. That’s why it’s a pleasure to update Opera News with features designed for football World Cup fans”. Opera News users can also follow their favorite teams thanks to an improved “Follow” feature in the app. It allows them to get more personalized information about their favorite teams. The lightweight Opera News app not only provides users with the best news and articles but also saves storage space on devices. 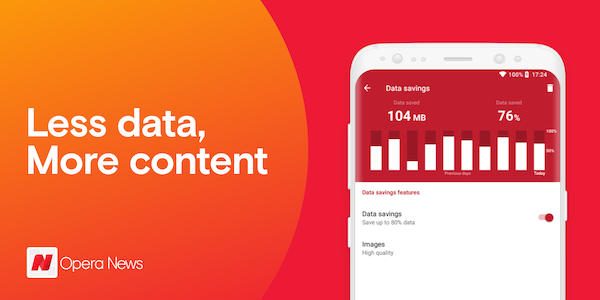 In addition, Opera News saves up to 80 percent of mobile data, allowing users to read more and watch more videos while consuming less data. Opera News is available for download from Google Play in 16 languages.